City goverment insiders are talking with a great deal of enthusiasm about a successful music/dining concept coming here from Philadelphia. We heard chatter about this concept more than a year ago as they looked at buildings along Fourth Street. 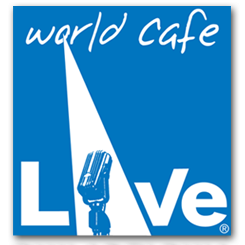 Now, apparently, there is serious backing for bringing Philly-based World Cafe Live to Louisville. Why is this a big deal? Because depending on who you talk with, World Cafe Live may be one of the concepts going into Whiskey Row. In 2004, impresario Hal Real teamed with David Dye, host of the NPR show World Cafe to create the concept in Philly. They opened a second World Cafe Live in Wilmington, Del. in 2011. In Philly, Real’s deal is with WXPN, an NPR affiliate owned and operated by the University of Pennsylvania, a for-profit/non-profit partnership. If World Cafe Live comes, it would be a serious competitor to Fourth Street Live because the concept combines higher-end dining with a great music hall featuring top acts.